Are you in the process of booking a trip to Disney World? Are you ready to have the time of your life? Do you need to choose a hotel sooner rather than later? It goes without saying that there are plenty of Disney World hotels to choose from. In addition to those inside the resort, there are many more throughout the city of Orlando. It’s up to you to make a final decision, but here’s something to remember: there are many steps you can take to compare Disney World hotels. For example, you can use Expedia to learn more about Disney World resort hotels, all of which have something unique to offer travelers. The Orlando World Center Marriott, for example, is not located within Walt Disney World, but it’s known for being one of the top hotels in the area. This is more important to some than others, but it’s something you absolutely need to consider. Do you want to stay within the park? Are you okay with the idea of staying somewhere else in the Orlando area? You’ll have many choices, so do your best to narrow your options based on location. Like most, you’ll have a budget to follow when traveling to Disney World. With this number in mind, you’ll soon know which hotels you can afford and which ones are out of your price range. You don’t want to shop based on price alone, as there are many other details that are just as important, but this will definitely come into play at some point. Are you only interested in hotels with a swimming pool? How about those that have several on-site restaurants? Make a list of the amenities that are most important to you. With this in hand, you’ll find it easy to eliminate hotels that don’t suit your needs, while gravitating toward those that are perfect for you. There is nothing worse than staying at a hotel that provides a poor customer service experience. This has a way of ruining your trip – and that’s not a risk you want to take. The best hotels are devoted to providing customers with a positive experience that they will remember for the rest of their life. For example, if you neglected to follow a few key packing tips, you may have forgotten an essential item at home (like your toothbrush). Hotels with good customer service are always willing to help you out. You can learn a lot about a hotel by searching online. For example, the most popular hotels have thousands upon thousands of reviews spread across a variety of websites. In addition to reviews and ratings, don’t shy away from browsing as many images as you can find. These will give you a better idea of what the property has to offer. While you don’t have to believe everything you read online, you should at least take the time to check out as many reviews as time allows. Call the hotels and talk to the guest services. “Customer service starts before you book,” says Nate Robertson of Square Ship. He’s right. If you don’t like the service you receive over the phone- you’re not going to enjoy your stay while you’re there. 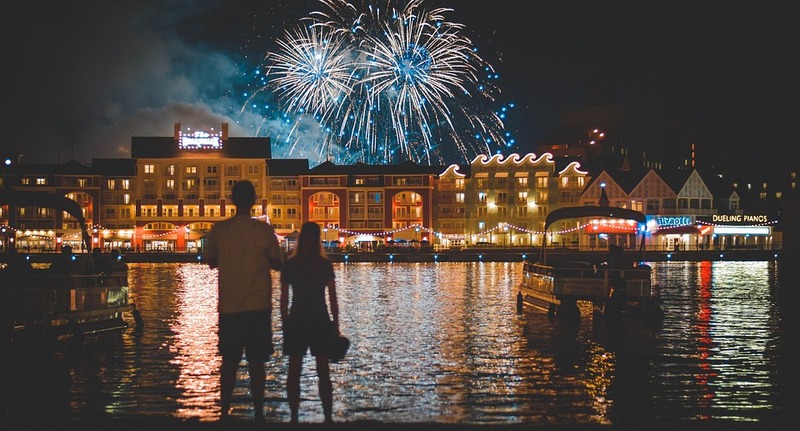 There is no right or wrong way to compare Disney World hotels, but these are some of the things you can do to put yourself on the right track to booking the perfect accommodations. The more you learn about the many hotels in and around Disney World, the more you will realize that you’re well on your way to making the right decision. By using the internet to conduct research, you’ll find yourself making a confident choice soon enough. Have you ever visited Disney World in the past? What process did you follow to choose a hotel? Were you able to find one that suited your every need? Did you make any mistakes along the way? Share your personal approach to comparing Disney World hotels in the comment section below. The advice you share could help another person book a hotel that is perfect for them!